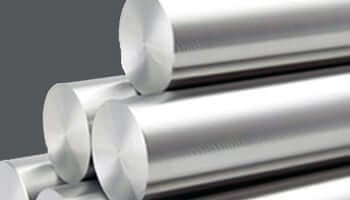 Inconel UNS N06600 Hexagon Bars Stockiest in South Africa, Inconel DIN 2.4816 Welding Rods Manufacturer & Exporter in India. Sangeeta Metal is one of the leading Manufacturer, Supplier and Exporter of Inconel 600 Round Bars that are actually manufactured from High Quality of Standard Raw Materials and are designed as per with national and international standards. Alloy 600 Bars is a nickel-chromium-iron alloy by means of having an excellent oxidation resistance at soaring temperatures and resistance to chloride-ion stress corrosion cracking corrosion by high-purity water, and caustic corrosion. UNS N06600 Round Bars also has excellent mechanical properties and has a desirable combination of high strength and good workability. These WNR 2.4816 Bars are used for furnace parts, in nuclear engineering and for the sparking electrodes, in chemical and food processing, etc. We offer these Inconel Alloy 600 products in custom-made shapes and sizes as per the requirements given by our clients, and that too at an affordable and market leading prices. ASTM B166 Inconel 600 Square Bars Distributor in Nigeria, Inconel Alloy 600 Flat Bars Exporter in Egypt, Inconel 600 Polished Rods Supplier in Africa.